These are vintage pink acrylic pendants. 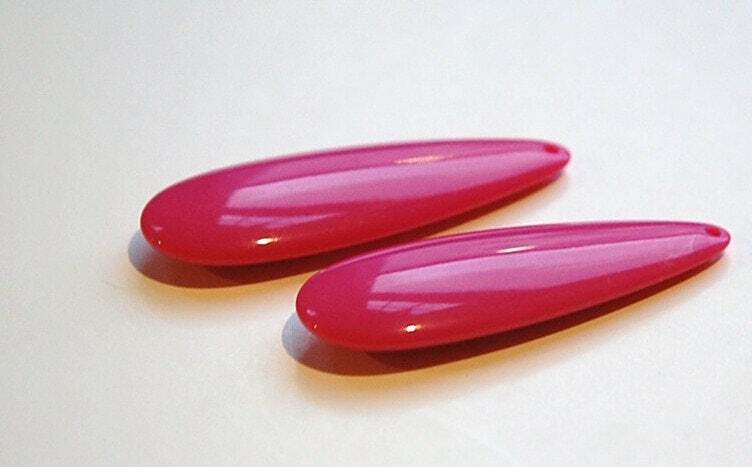 They are a teardrop shape with a beading hole at the top. These measure 53mm long X 17mm wide X 5mm thick. You will receive 2 pieces. always fast service, thank you! Love these pendants! They make great earrings!